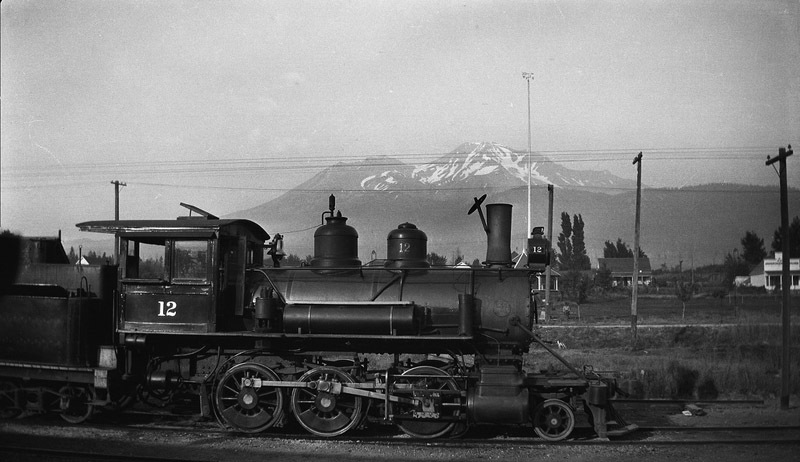 The #12 with coach #01 at the McCloud depot shortly after the re-numbering. Compare this photo to those of the same maching on the #1 page...the smokebox has been considerably shortened. 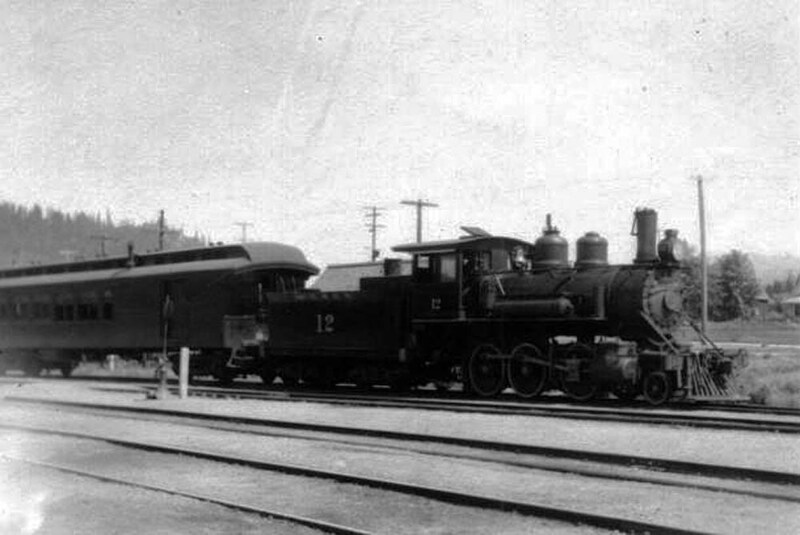 Photo courtesy of Heritage Junction Museum of McCloud, Inc.
A later shot of the #12, this time with coach #02. Note that the locomotive now burns oil. Photograph courtesy of Heritage Junction Museum of McCloud, Inc. The #12 at rest in the Mt. 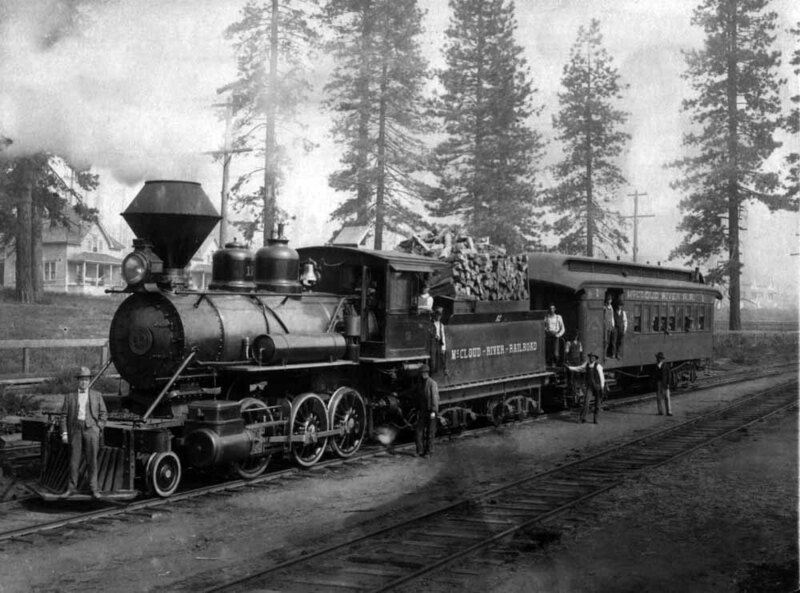 Shasta City yards between runs about 1920. Benjamin St. John photograph, from the Kat Mulkey collection. 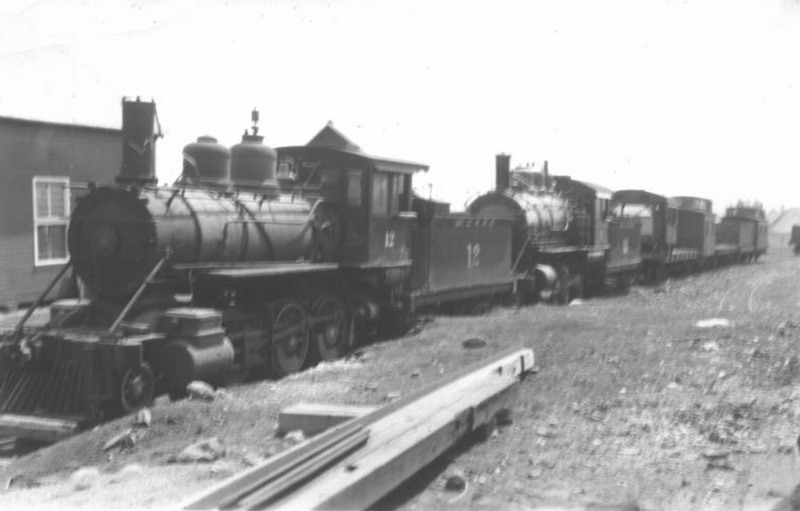 By the early 1930's the #12 was on the dead line in McCloud accompanies by the #11, two flat cars (one carrying a steam locomotive cab), two 4-wheel cabooses, and one of the early wooden water cars. 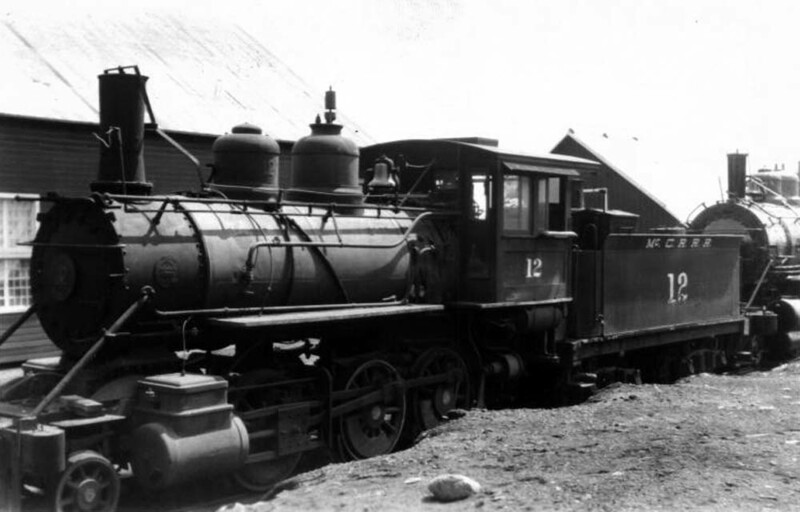 Photograph courtesy of Heritage Junction Museum of McCloud, Inc.
Another photo of the #12 on the dead line. Photograph courtesy of Heritage Junction Museum of McCloud, Inc.